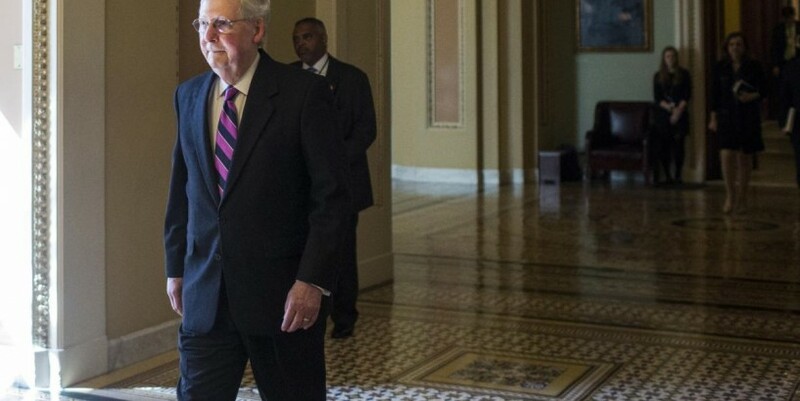 US Senate leader McConnell still weighing response to Saudi journalist’s dea April 12, 2019 at 3:36 am | Published in: Asia & Americas , Iran , Middle East , News , Saudi Arabia , US , Yemen WASHINGTON, DC - APRIL 03: Senate Majority Leader Mitch McConnell (R-KY) leaves the Senate Floor following a vote on April 3, 2019 in Washington, DC. (Photo by Zach Gibson/Getty Images) April 12, 2019 at 3:36 am US Senate majority leader Mitch McConnell said on Thursday he was still trying to determine the best way to respond to the October murder of Saudi journalist Jamal Khashoggi at a Saudi consulate, but described the kingdom as an important US ally against Iran, Reuters reports. Members of Congress, including some Senate Republicans as well as Democrats, have been clamouring for Republican President Donald Trump to take a stronger line against Saudi Arabia. They are concerned not just about the death of Khashoggi, a US resident and Washington Post columnist killed in October at a Saudi consulate in Turkey, but also the heavy toll on civilians of the war in Yemen, where a Saudi-led coalition is battling Iranian-backed Houthi rebels. McConnell also predicted that the Senate, where Republicans hold a slim majority, would sustain Trump’s expected veto of a resolution that would end US involvement with the Saudi-led coalition in the war in Yemen. It was the first time both chambers of Congress supported a War Powers resolution, which limits the president’s ability to send US troops into action without the consent of Congress. McConnell said he did not agree with this use of the war powers act, because the United States does not have troops on the ground in Yemen. The US military is providing targeting assistance to the Saudi-led coalition.